detailed and beautiful! They are also really large in size. The art style in which he used to create the classic monsters reminds me of the artwork in the old horror magazine Famous Monsters in Filmland mixed with a caricature style and plenty of gorgeous detail. 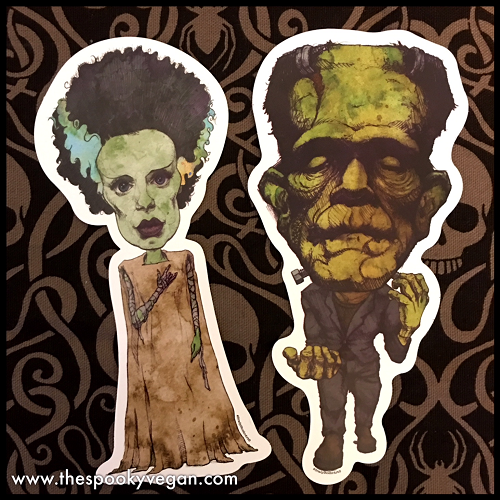 Stoehr has given life to classic monsters like the Wolfman, Frankenstein's Monster, the Bride of Frankenstein, Dracula, Nosferatu, the Mummy, Creature from the Black Lagoon, as well as famous horror authors H.P. 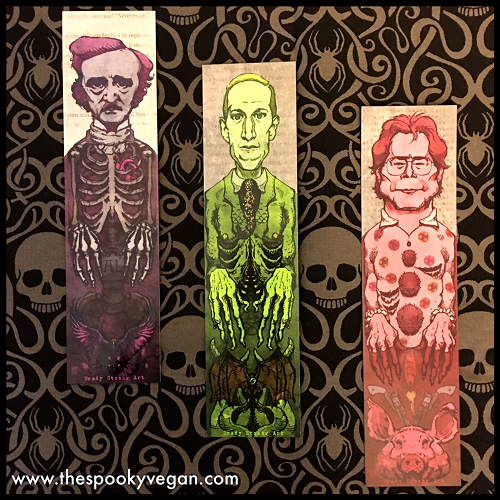 Lovecraft, Stephen King, and Edgar Allan Poe. My favorite parts of the prints are the little hidden things he includes in his artwork that are homages to the original films or stories, like the unique borders in the prints that contain elements of the original story/film. You can see an example of this in the Wolfman print above, but I especially love the "AL" headstone included in the Edgar Allen Poe piece, referencing his long-lost love Annabel Lee or the tentacle necktie on H.P. Lovecraft (see below). The detail that goes into each of his creations is really astounding and results in stunning artwork. All of his prints are vibrant, textured, and really pop! Stoehr combines watercolor, colored pencil and digital elements to create unique pieces of art. Each print is a limited edition that is numbered and signed by the artist and reproduced on high-quality, textured Hahnemuhle Torchon paper. The bookmarks are glossy and printed on thick paper - they are almost too beautiful to use as bookmarks (I want to get them framed! ), but they are so high-quality that they would last for years if used as bookmarks. I also thought the stickers were very high-quality, sturdy, and really large in size. I love how they, along with Stoehr's other art pieces, are so detailed! I am thrilled that I'm now familiar with Brady Stoehr's illustration and artwork. His art is striking and will surely thrill horror fans. 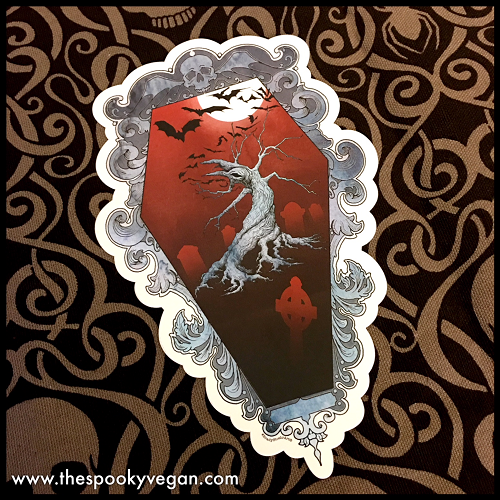 Besides horror artwork, Stoehr also has other styles and themes he has worked with, including surreal monsters, whimsical creatures, spooky skulls, and much more. 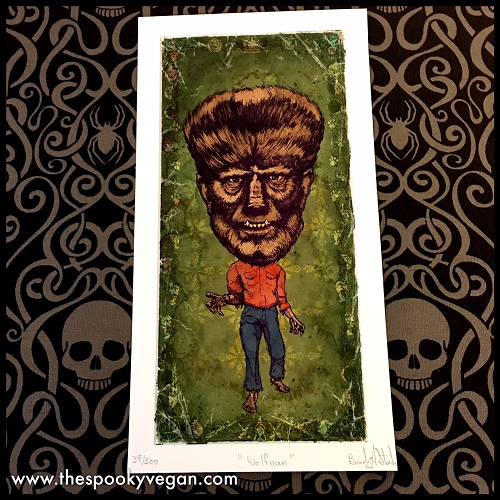 He is also available for commissions if you want to get something spooktacular for your special boil or ghoul (or yourself!). 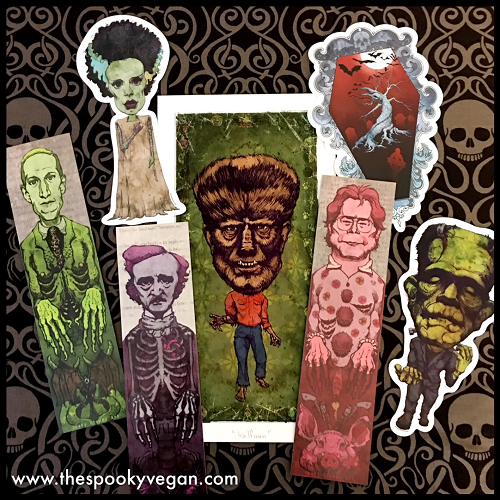 You can find Brady Stoehr's artwork on Etsy (pssst...he is having a sale just for Halloween and it looks like many pieces are already sold out) and you can follow his work on Instgram! Stay spooky, ghouls and boils! Those are awesome. Vintage-like but with a quirky twist. Fun stuff.